On the LSW Home Page, you will find complete information on requesting transcripts for current students and former graduates. Transcripts are only requested through the Registrar, Mrs. Cornell. Some transcripts are sent electronically to their admission’s office, but most transcripts, addressed and sealed, will need to be picked up by the student or parent and then sent to the college or university. ACT/SAT scores are NOT included on transcripts. There is no fee for transcripts. You can also request personal hard copies—these official transcripts are in sealed, blank envelopes and must be picked up by the student or parent. Transcripts can be sent as a PDF to an email; however, they are not official. LSW does not send requested transcripts in the US mail for current students. Transcripts not picked up after 30 days will be shredded. Parents often need to submit to their insurance company proof of good grades. 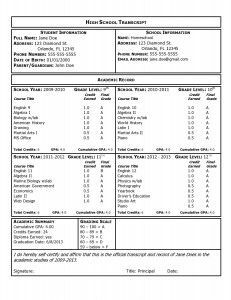 Report cards no longer include a student’s GPA—a transcript will provide that information. Simply request a PDF version or personal hard copy depending on your insurance company’s requirements. Only final transcripts of graduates of the preceding year will be available at LSW. Older grads should contact Student Services at the District Office for more information. Parents can no longer request transcripts for their student once they have graduated. Please visit the LSW Home Page for complete information on requesting transcripts. Contact Shannon Cornell, Registrar, with any questions regarding transcript requests.